QANTAS – Still Call Australia Home? | Words, By George! QANTAS – Still Call Australia Home? The Australian Coalition Government strategy of providing assistance to QANTAS is reminiscent of the American strategy during the Vietnam War. Who can forget the chilling phrase from that era, ”Before we save the village , we have to destroy it”? As a management strategy, that doesn’t have much going for it. Sounds like QANTAS will go the way of Vegemite. It will be Australian only in name. No doubt they’ll have the nerve though to ”still call Australia home”. If QANTAS is sold will Messrs Joyce and Clifford be an inclusion? Ed. – But then Joyce is Irish, isn’t he? Market forces across the global economy will ultimately determine the future shape of QANTAS, not the Australian government nor the unions. QANTAS jobs will be lost overseas with or without the government’s changes to the ownership rules because this country is one of the dearest on the planet for the cost of labour. The unions may claim to rely on QANTAS for their future but research proves the flying public would mostly prefer to rely on cheaper airlines that offer comparable standards. If it is good enough for the federal government to provide a debt guarantee for the banks, why not do the same for the airline industry? Or why not let the banks be swallowed by the big boys overseas? Tony Abbott reckons Virgin Australia is ”as Australian as QANTAS”. How on earth can that be when Virgin is majority-owned by overseas airlines who, when push comes to shove, will ditch Australia like a hot potato. When you get on a QANTAS plane overseas and are greeted by cheerful Aussies you breathe a sigh of relief. You are home before you get home. QANTAS is not just another business. It’s who we are, and we are a country which needs a flag-raising carrier to show the world we are a strong nation. We need the planes with kangaroos on the tail. While I’m normally angered by politicians doing things appropriately falling to the role of the Governor-General, such as farewelling or welcoming our troops, I can think of no better person than Tony Abbott when it comes to ceremoniously lifting the kangaroo off the tail of the plane the day QANTAS ceases to be Australian. If the Prime Minister wishes to allow greater foreign ownership (which will mean controlling ownership), then why not overlay the kangaroo symbol with some gold stars or plaster a striped background on the tailplane? All national airlines are supported by their various governments, so let us not pretend that it will be a national airline any more. The new owners can remove the present board, remove operations to their own country, and we will be free of yet another piece of bothersome industry. If there was more foreign ownership of QANTAS perhaps the fares would be reduced, the service improved and more people would once again want to fly with QANTAS. I don’t know whether a level playing field can be achieved when you are in the air but I do wonder why the words chief executive Joyce used about the 5000 jobs do not appear to have been accurately reported in print, let alone discussed. What he said on TV was ”the equivalent of 5000 full-time jobs”. Does that mean 10,000 part-time? Get your parachutes on! 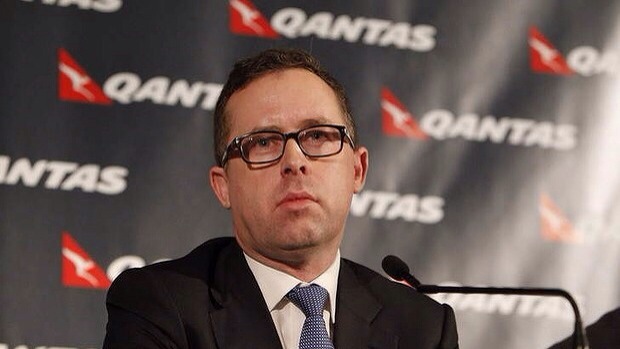 QANTAS was always at risk of overseas ownership when Alan Joyce was appointed as CEO. 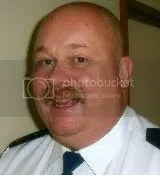 Here’s a Irishman who claim to fame was that he has worked for Aer Lingus. From the moment of his appointment to QANTAS, he has slashed jobs, sent maintenance work off-shore all in a glorified and yet vain attempt to make QANTAS more profitable. Has he succeeded? No! Oh sure, he has pulled QANTAS into one of the world’s top ten airlines, and JetStar into one of Asia’s best budget carriers and brokered a deal with Emirates on long haul flights to the UK, but the airline is still haemorrhaging money. Sadly he has not grasped the concept that to most Australians, QANTAS is more than an airline, it’s an Australian icon, an essential part of the Australian psyche. Russell Mills (above) quite rightly described boarding a QANTAS aircraft as “you are home before you get home”. Mr Joyce has no concept of this. Also, don’t forget that a QANTAS’ majority shareholder is British Airways, so in a way, QANTAS is already overseas owned. So the Irishman thinks, what’s a little bit more? There’s only one way to ensure that QANTAS remains Australian, and that for it to have government ownership. But it still has to be profitable. It’s not doing that now, and foreign ownership will not change that. Lastly, what do Australian companies do with CEOs that don’t perform? Sack them with outrageous severance packages. Goodbye Mr Joyce! You’re not long for QANTAS!